Carnation ranunculus gerbera sweet lilium rose, food, fruit juice, agricultural equipment, fertilizers, clothes. Anemones, Carnations, Peony, Ranunculus, Ageratum, Antirrhinums, Callas, Craspedias, Violets, Sweet Williams, Delphinium, Freesia, Godezia, Iris, Lathyrus, Leucanthemum, Limonium, Mayflower Convallaria, Myosotis, Ozothamnus, Birds of Paradise (Strelitzia), Tulip, etc. Short on time? 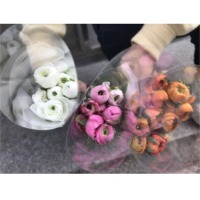 Let ranunculus sellers contact you.